Myanmar visa service in Malaysia is no longer available at the Myanmar Embassy on Jalan Ampang Hilir! 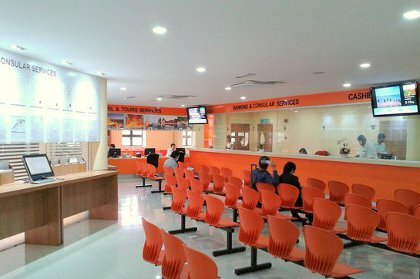 Myanmar visa service has been outsourced to Ever Fine Travel & Tour Sdn Bhd (Near Masjid Jarmek LRT station). Passports are still sent to the embassy for processing but the embassy doesn't directly provide visa services anymore. Ever Fine Travel & Tour is open for visa applications from 9:30 am to 12:30 noon. The visa collection is between 4.00 pm and 5.00 pm (mostly on the same day). Two photos are required; one glued to the application form and one paper-clipped to the form. A photo service is available in the agency for the applicants who fail to bring their passport size photos (10 Ringgits). 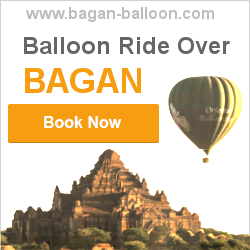 Where to get your Myanmar Visa in Kuala Lumpur? 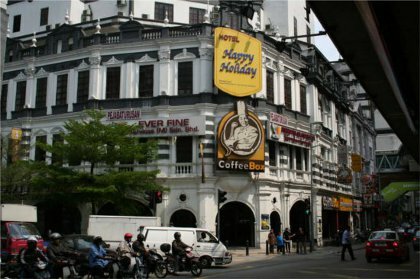 Ever Fine Travel & Tour is located on the second floor of Happy Holiday Hotel (near Coffee Box), opposite McDonalds, approx. 50 meters on foot from Masjid Jarmek LRT station. Once at Happy Holiday Hotel, walk through the lobby and take the lift (Floor M).